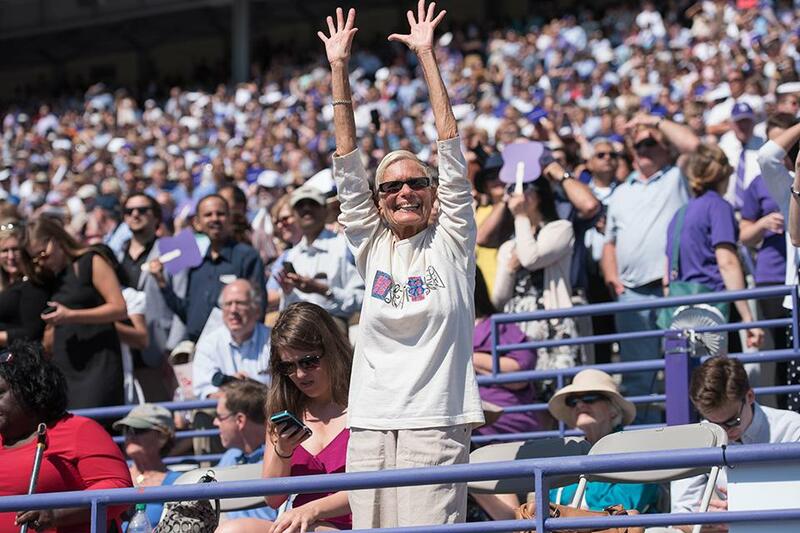 A graduating student walks into Ryan Field and points at the audience. 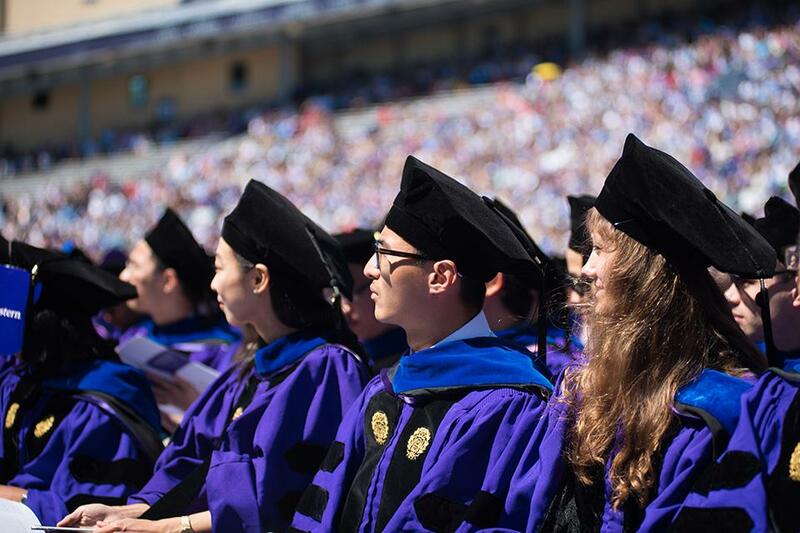 About 15,000 family members, friends and loved ones filled the seats in Ryan Field on Friday morning for this year’s commencement ceremony. 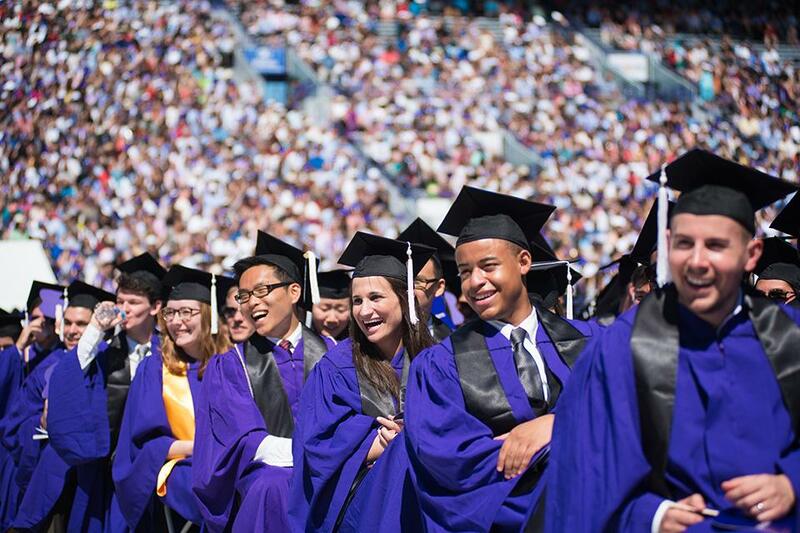 Graduates laugh at Meyers’ jokes and remarks. The comedian got his start with NU’s comedy group Mee-Ow. Graduates listen on as Weinberg graduating senior Justin Marquez introduces Meyers. 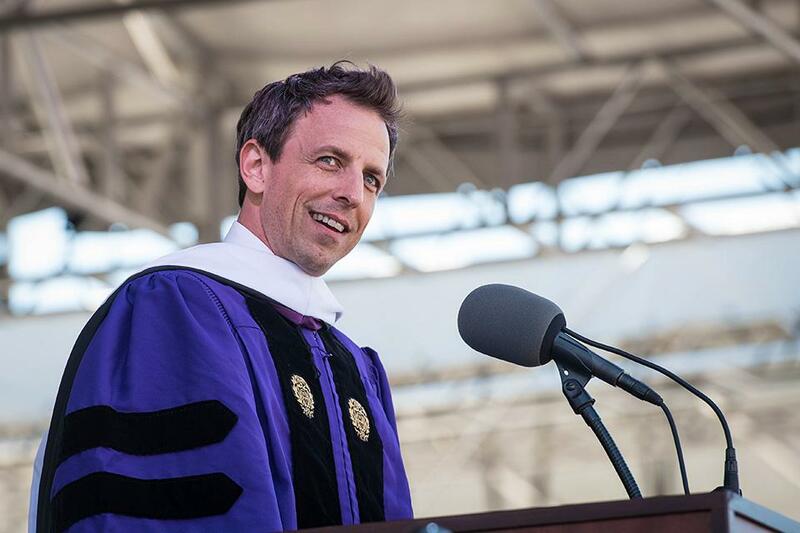 “I hope we can use our Northwestern experience and find the same hard-earned success that Seth has found,” Marquez said before Meyers took the stage. 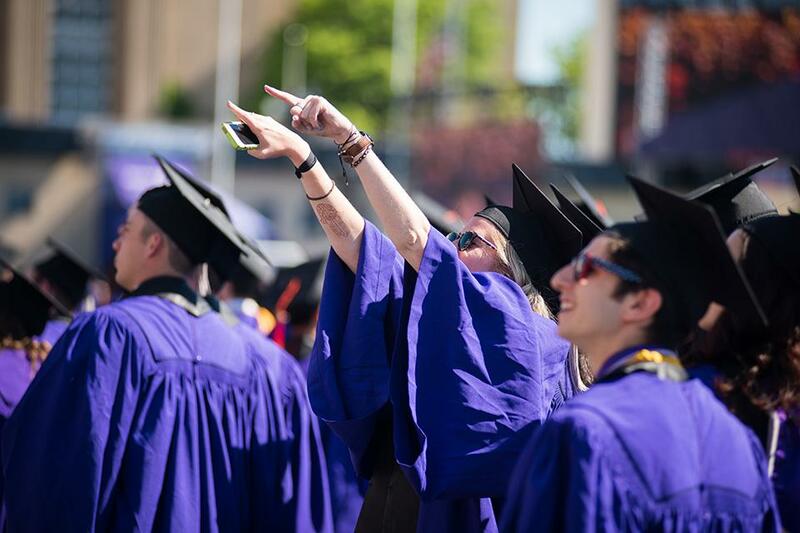 An audience member cheers on as graduates make their way to their seats. During the ceremony, Schapiro told students to thank not only their parents but also their grandparents for supporting them. Graduating members of the class of 2016 applaud the audience behind them for their support after Schapiro asked parents and guardians to stand up. 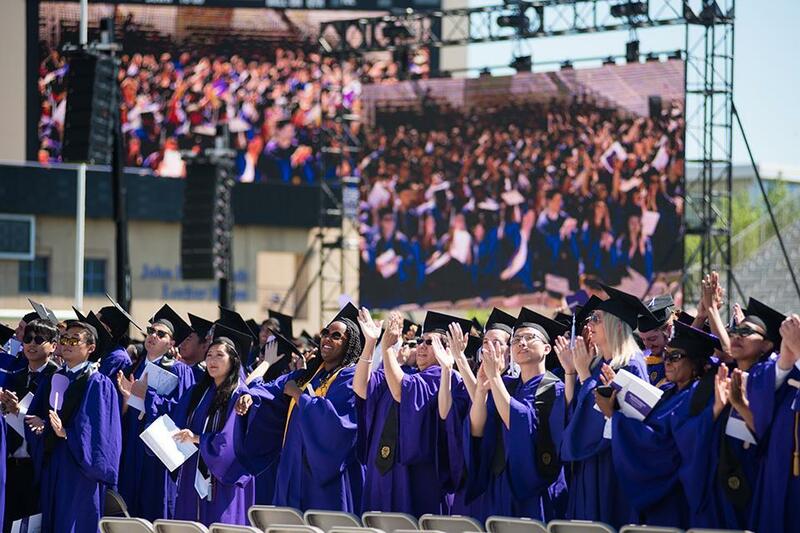 Later, graduating McCormick senior Sandeep Narayan Bharadwaj thanked family members, friends, faculty and staff on behalf of the graduating class. Schapiro addresses the crowd during the ceremony. 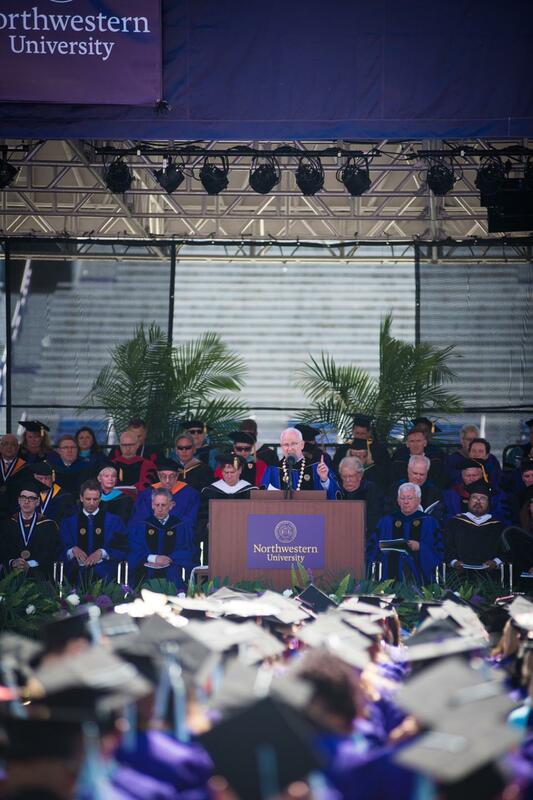 This was Schapiro’s 7th commencement ceremony as president of the University. 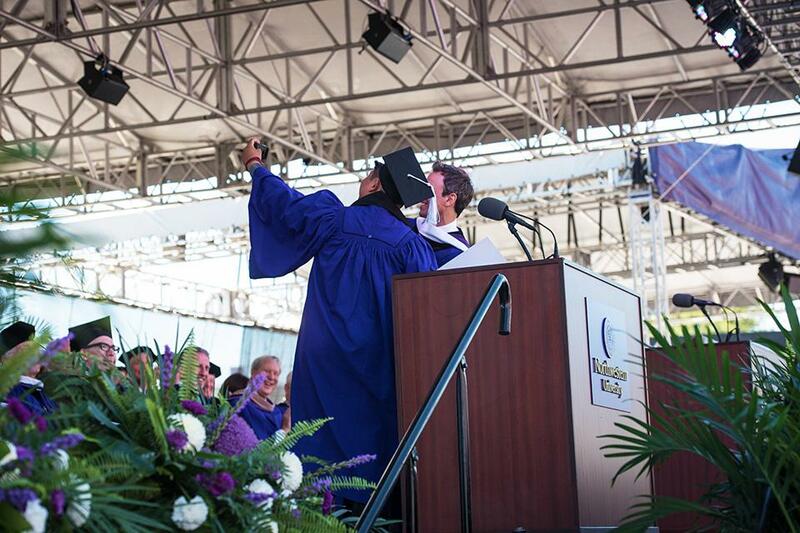 Schapiro and “Late Night” host Seth Meyers take a selfie with a student while marching to the stage. 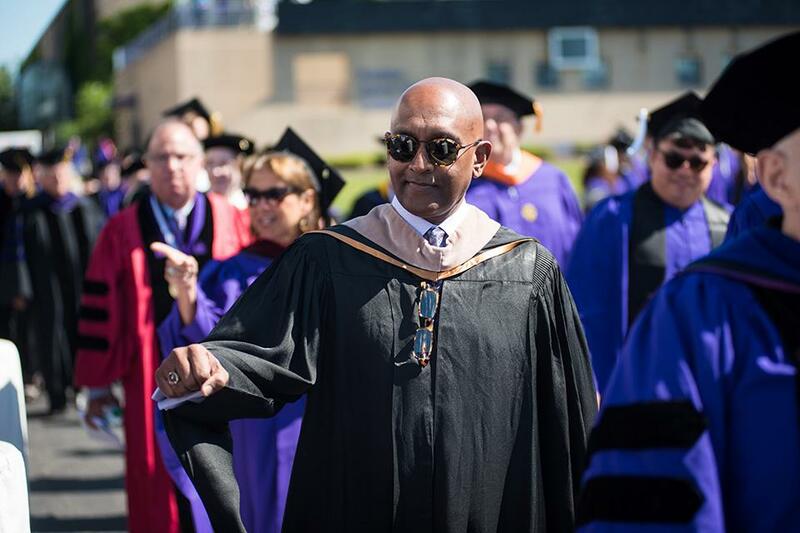 Meyers (Communication ‘96) was this year’s commencement speaker. 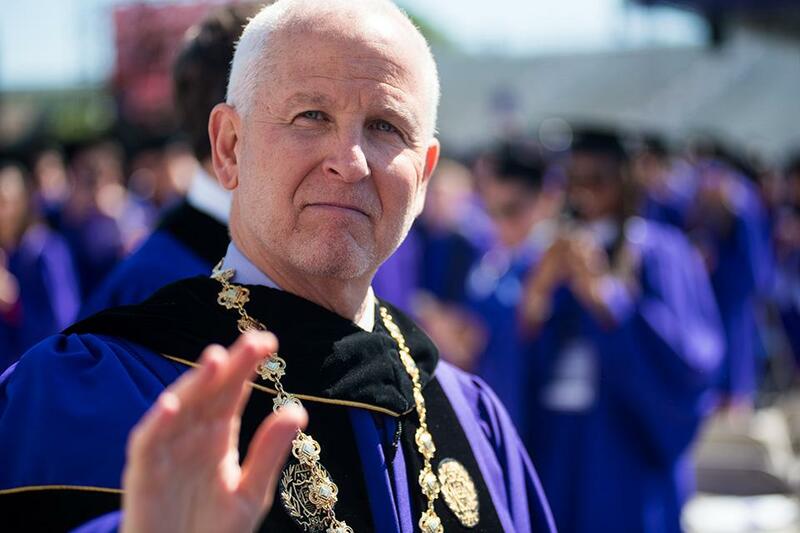 University President Morton Schapiro waves to the audience as he makes his way into Ryan Field. 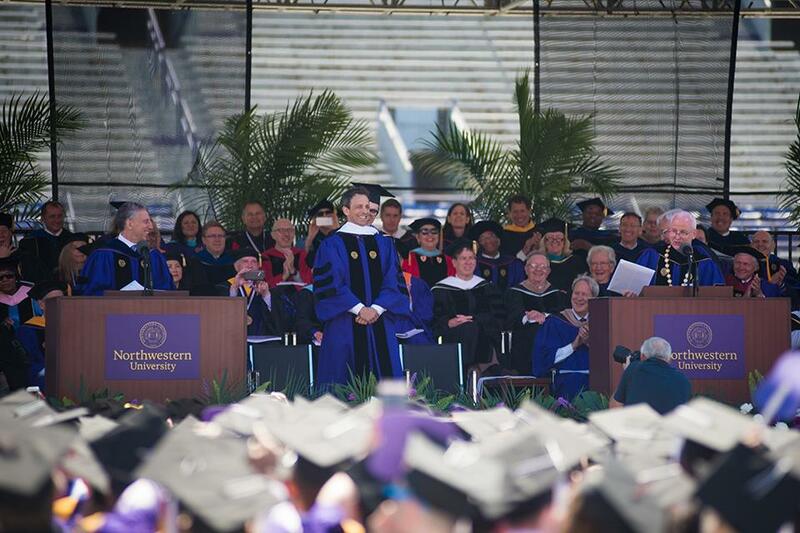 During the ceremony, Schapiro told students to thank their family members and friends for their support through their time at Northwestern. 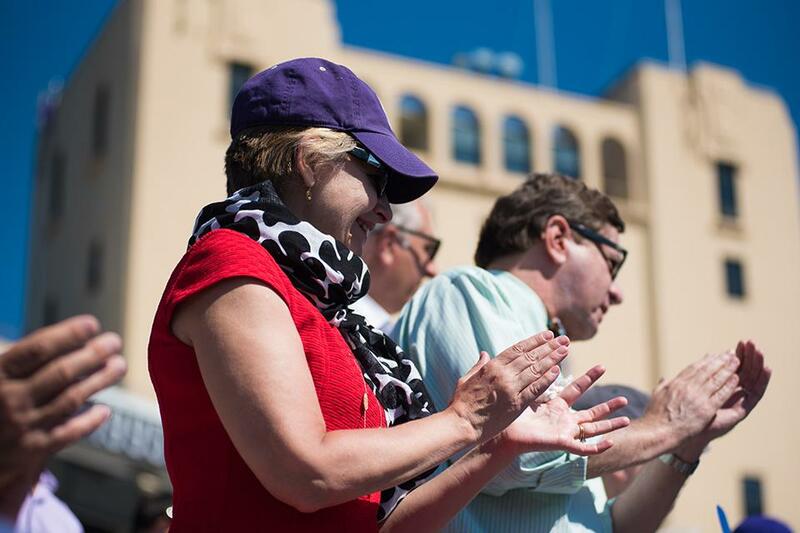 A faculty member fistbumps an audience member. 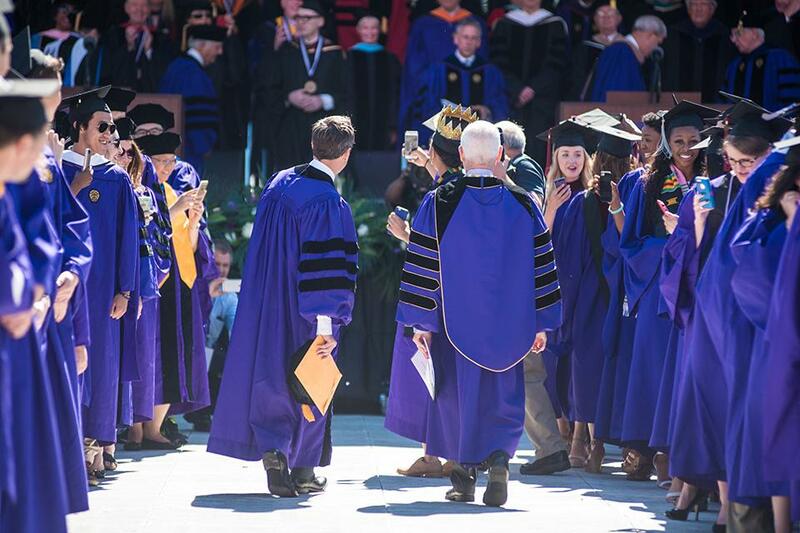 More than 60 faculty members were on stage during this year’s commencement ceremony. Family members applaud as faculty enters the field. The ceremony began at 9:30 a.m. on Friday morning. 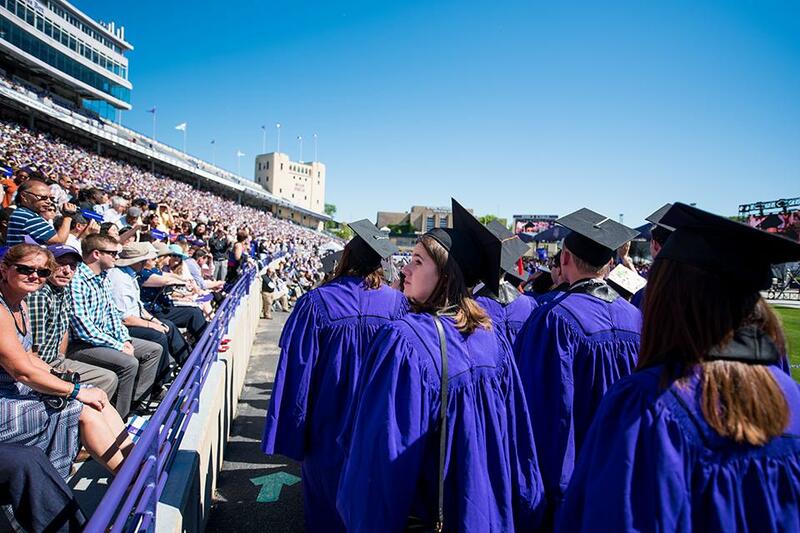 Faculty members march into Ryan Field. 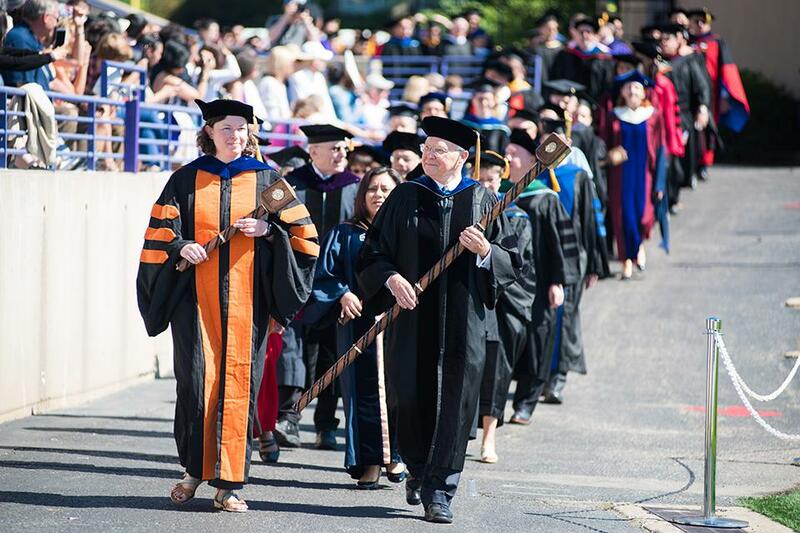 Thirty-four professors received emeritus status during the ceremony.